Purchasers: Do you have the order number? Great! Let's locate the gift you purchased. 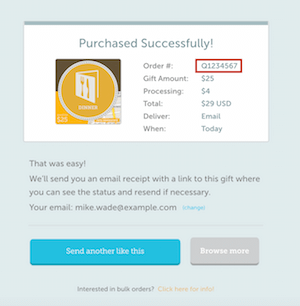 This will make it much easier to provide support specific to the gift you purchased. Tip: If you created an account when you purchased, you'll find the gift under your My Gifts page. 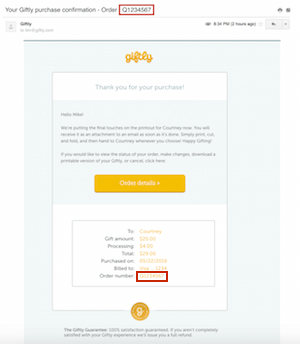 Tip: Try searching your inbox for "Giftly purchase confirmation".